After yesterday’s official introduction to T.J. Fowler, a session pianist who was afforded the opportunity to record under his own name to take advantage of the boom in rock ‘n’ roll over the past year, one thing went unstated – the fact that aside from one random Joe Turner entry Fowler’s appearance marked the first rock release by National Records that was NOT by The Ravens. Sixteen times National Records had graced these pages and fifteen of them featured one group. Though on the surface that might appear to be nothing more than a statistical oddity at best it’s actually quite an important signpost for rock to see it change. Obviously all labels are in the business of selling records and are trying to cultivate a roster with commercial appeal. But it’s not as if they can go to Woolworth and pick ready made artists off the shelf. The acts who have already attained success are rarely available to be signed and so it’s largely up to the record companies to seek out unsigned artists with musical skill that translates to commercial potential. I know, pretty basic game plan, but stick with me. Smaller independent labels, often just seeking to establish themselves locally, would gladly sign any halfway talented hack off the streets and hope to strike gold. Occasionally it happened too, especially in the 1940’s, but those who’d been around some, who’d had success along the way and thus had a greater sense of the market they were aiming for, targeted specific kinds of artists based on their musical style and how that could be promoted. National Records had built up a pretty impressive roster over the years that covered a wider than usual musical ground amongst black-oriented indies. They’d struck gold with balladeer Billy Eckstine, someone who had the ability to cross into mainstream pop acceptance, still a rarity for black artists in the mid-1940’s. They also featured some notable blues acts, country singers and had one of the biggest novelty records of the decade with Dusty Fletcher’s Open The Door, Richard. In other words, of all the independent labels in existence at the time who tried their hand in rock, National was probably LESS reliant on it than most of the others were shaping up to be. They were as diverse as it came, well respected and with a track record that was inviting to artists of all styles and backgrounds. 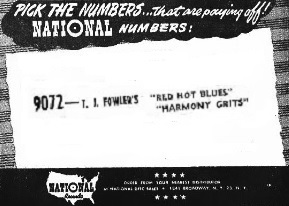 So for National to sign up Fowler to try and score additional rock hits – in addition to their success in this realm with The Ravens – was further proof that as a genre rock was now being seen as commercially bankable. The more labels that sought these rock ‘n’ rollers out, the more opportunities opened up for artists who just a few years earlier might’ve been stuck as regional club acts with no chance for national exposure. That was what Fowler had been shaping up to be after all. A reliable name on the Detroit music scene who happened to achieve a little notice by backing up Paul Williams on his hit instrumentals. When the recording ban ended heading into 1949 suddenly record labels, having seen rock’s growing popularity over the previous year, frantically searched for others who could tap into that market for them and Fowler was an early recipient of that need. National Records, perhaps the most solid of the independent labels at this point over the past half decade, snatched him up from the local Detroit imprint Sensation which not only provided Fowler with an opportunity to rise above the Detroit club circuit but also gave notice that the music industry, or at least an important segment of it, believed in rock’s ongoing potential and that in of itself was crucial in its expansion. T.J. Fowler however wouldn’t add much to rock’s commercial potency on his own as it turns out. Without a hit – sorry to spoil the suspense – he was but a minor figure on the scene for a number of years, yet his presence alone added to rock’s diversity. After a year of the saxophone dominating the rock instrumental field – thanks in part to records that Fowler had played on in the background – now the expansion of that sound was well underway with pianists joining the fray. We’ve seen it with Dee Williams not long ago and now Fowler. Companies were actively seeking new wrinkles to connect with rock listeners which is always a good thing even if the initial results yield no hits. Harmony Grits, in spite of its clever title, a play on the food “hominy grits”, is not nearly up to the standard set by the intoxicating flip side, Red Hot Blues, but as we’ve seen with other instrumentals it’s rare for both the A & B side to be of equal stature musically, and in fact even in the case of some of the best songs – Big Jay McNeely’s The Deacon’s Hop or Hal Singer’s Cornbread – the flip sides aren’t worth even covering, oftentimes because they’re too far away from rock itself, the belief at the time being that you had to offer something more jazz-oriented or with stronger pop appeal to offset the strict rock histrionics that adorned the other side of the record. Not so here, which again is cause for some mild celebration as it offers further proof as to the growing mindset that rock had the ability to draw as many listeners now as something far more well-established. Fowler might’ve used up his best ideas for the other side, but the fact he didn’t abandon rock for so-called loftier goals here was a good sign. With its left hand lead laying down a rolling bass line there’s no doubting Fowler’s intent. He’s well aware of the importance of establishing a bottom to work from, as well as the appeal of a churning groove. He’s got his part down to a science, unfortunately his cohorts on this have other ideas. Are You SURE You’re The Same Guys From The Top Side??? Horns – the make or break instrument in rock’s evolution to date – are what let Fowler down here. They have the right idea for sure, the saxes riffing underneath the lead horn, but the fact is that all of them, especially the lead, are ill-suited for their roles. We keep saying (and keep saying that we keep saying, because the musicians don’t seem to be listening!) that the rock approach is one that requires a grittiness and raunchiness that can only be properly delivered by tenor and baritone saxes, not by the higher registers of altos (except when played by the master of the instrument Earl Bostic) or God forbid the trumpet. Here we get both of the latter and the result is they take the spotlight on what was shaping up to be a decent enough song and promptly replace that spotlight’s bulb to a much dimmer one, robbing Harmony Grits of the bright glare it requires to be noticed and appreciated. 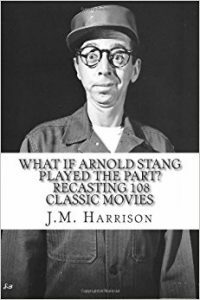 Imagine watching Star Wars for the first time and instead of James Earl Jones voicing Darth Vader they went instead with Woody Allen or Arnold Stang? Every scene could be filmed exactly the same, each line of dialogue could be unchanged and yet the reaction you’d have to the film would be far different. That’s the problem with the alto sax and trumpet, they might be playing fine and delivering their parts exactly the way it was envisioned but they simply don’t have the heft of tone to convince you of anything suitably raunchy going on behind closed doors. In jazz this wasn’t a problem of course due to the nature of the music itself and the expectation of their listeners. In those circles the alto and trumpets were among the most respected horns, far more so than the tenor and baritone who simply were too coarse to fit seamlessly into the classier arrangements and mesh with the different accompaniment that emphasized a less crude musical sensibility. The jazz setting was no less vibrant in its own way than rock, but the framework was light years apart and therein lies the difference. By contrast rock settings needed to conjure up a rough and tumble environment, something overwhelmingly exciting, perhaps a little menacing and possibly bordering on obscene if not illegal. Rarely were those attributes actually present in a recording studio – well, unless Wynonie Harris was singing on the track – but that was the image they were hoping to convey because that’s what rock fans found so alluring. Once this became the established image of rock ‘n’ roll it probably kept many of its artists from being booked in the higher class clubs, but that was okay too because the ones buying the records often weren’t able to get in those places anyway, either due to racial segregation, their financial situation or logistical realities, and so the chitlin circuit picked up the slack and brought the artists to the people which in turn fueled more of the same types of steamy songs with a thin veil of danger lurking in the grooves. The alto saxes with their higher tones and the shrill squawks of the trumpet weren’t going to cut it in those places, certainly not as the lead instruments, and so a dividing line was established quite naturally with the other horns being emphasized and thus drawing more of them into this field while the altos and trumpets increasingly were downplayed which sent those musicians back into jazz for the most part. Call it natural musical evolution, like camels sticking to the desert and frogs staying in the wetlands. It’s a shame though here, because on paper this really works. You like what they’re playing but not what they’re playing it with. Even with the ill-chosen instruments though everybody involved is certainly revved up and delivering their lines with a sense of purpose, not holding back as we’ve seen far too often when it comes to jazz and nightclub refugees being asked to slum in the rock world. All of these guys don’t seem the least bit inhibited and are feeling the urgency of the music, digging deep to convince you that they really mean it. Yet they’re simply cast wrong. 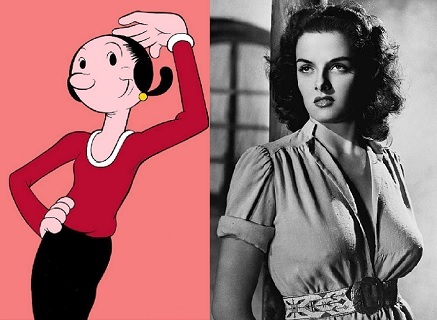 Like seeing Olive Oyl in a part better suited to Jane Russell, you know right away that it’s not going to work. Of course Fowler should’ve realized this himself, it was his career on the line and if he was too loyal to jettison those whom he had genuine affection for then National Records should’ve pulled him aside and either asked for a slight change in the arrangement to let the lower horns do the heavy lifting or else should’ve brought in another freelance on tenor to take over the main thrust of the song. Because that didn’t happen however we’re left with a strange compromise we as listeners have to make. The structure of the song, their intent in playing it, are certainly above average. The personnel however, no matter how solid they might be musically, are all wrong for their parts and thus decidedly below average. But when you combine the two mismatched entities you wind up with something that, while certainly not an example of an “average” rock release for this stage of the game, is something that fares no worse than what IS average for its time. Maybe in the end you even wind up admiring them more for their sheer effort because you know they’re over-matched. Like a huge underdog in sports you find yourself impressed by their determination even though the outcome is never in doubt. However you look at it Harmony Grits wasn’t going to set the rock world on fire commercially, wasn’t even going to advance it musically to offset it’s lack of sales, but we’re still at a point in rock’s story where the mere full-fledged commitment to the style – by the artists themselves and the record label employing them – was something worth noting. A little ways around the bend that commitment won’t be enough to get them as much as a well-earned “good effort, boys” from the peanut gallery but in April 1949 we can be a bit more lenient with our conditional praise because we know that it the mere appearance on the scene of records like this were vital in ensuring that rock’s position as a whole was strengthened going forward. Take that for what it’s worth in the early days of 2018 but remember that we’re talking about rock still almost two decades into the twenty first century only because the music picked up enough steam in its first few years to keep rolling down the track. Leave a reply on "T.J. Fowler: “Harmony Grits”"